Pokemon Go’s December Community Day event has been revealed, and whoo boy is it a doozy! Rather than taking place during a single afternoon, December’s event will last almost three days, from November 30 at 4 p.m. ET to December 2 at 2 p.m. ET. During each previous Community Day event, players had a chance to unlock an exclusive battle move by evolving the starring Pokemon. For instance, during November’s Cyndaquil event, when players evolved Quilava into Typhlosion, it learned the exclusive battle move Blast Burn. While the featured Pokemon will appear more frequently from November 30 - December 2, a special three-hour event will take place on December 1 (on December 2 in the Asia-Pacific region), giving players extra bonuses for a limited time. From 2 p.m. ET to 5 p.m. 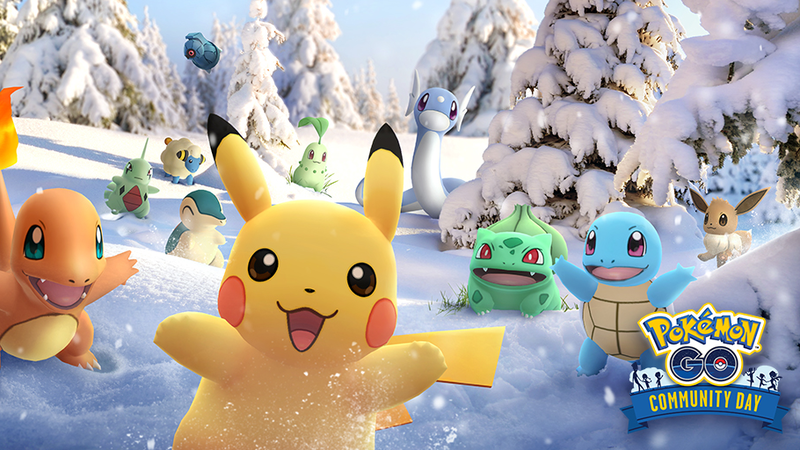 ET on December 1, players will receive double the normal amount of experience points and Stardust when catching Pokemon. Egg Incubators will also require players to walk half the normal distance when an egg is placed inside during the three-hour window. Remember, each Community Day event so far has given players a great chance of collecting shiny versions of the starring Pokemon. Even if you were able to play during every Community Day event so far in 2018, keep an eye out for extra shinies to add to your collection this weekend.